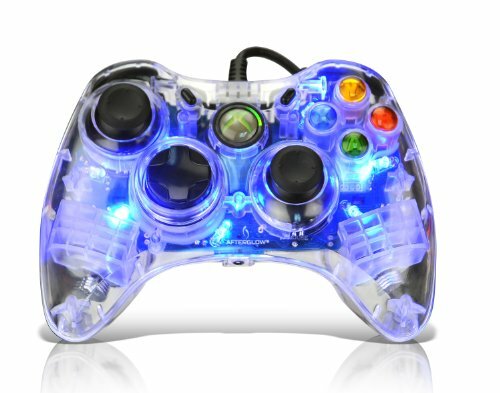 I can't seem to get Force Feedback to work on my Xbox 360 controller. The controller in question is an Afterglow Xbox 360 controller. Is there any sort of syntax I'm missing or are Xbox 360 controllers not compatible? It works, but it doesn't fix the force commands and only the right side vibrates. If there's no way to get force feedback to work on an Xbox 360 controller with the force commands, then that will have answered that. It's not a huge loss, but I would have liked that to work. However, I don't think I'm coding it properly. I read somewhere to identify the controller first and then it'll work. Is this true? Can you send me a code snippet using the force commands? If you don't have anything, I understand. I wish this command worked for my controller, but it seems I'm not using the right controller. I know I have no power over the devs, but I kinda wish the Force Commands were more versatile or compatible. I've used this program for a very long time, but until recently I never had the change to get my hands on a controller with force feedback, so it's a little disappointing to say the least. Thanks for trying to help, but I don't think that unless I have the right controller or programming know-how, I can't enjoy DBPro to its fullest. I did what you asked, but to put things simply my controller seems to not work. That code I gave you to actuate the motors is precisely how you manage on and off! Works for me for short bursts and you can make timers for prolonged rotation too!